Szymanski’s Restaurant & Tavern is located at 129 Fraley Street in Kane, Pennsylvania, along scenic Route 6, at the edge southern edge of the Allegheny National Forest. 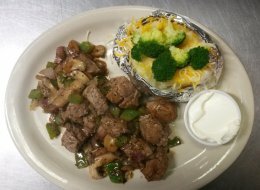 Serving a full menu, Szymanski’s is a family style restaurant with a casual atmosphere. Menu choices include sandwiches and salads along with delicious seafood and charbroiled steaks cooked to perfection. Ask for their daily homemade soups and pies. 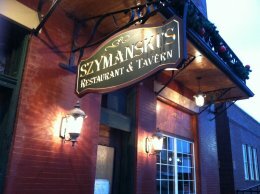 If you are planning a family reunion, anniversary or private party, call Sue at Szymanski’s Restaurant & Tavern at 814-837-1038 for personalized assistance. Motorcoach and group tours are welcome with advance notice.